Is improving your club’s bottom line on your list of new year’s resolutions? If so, read on. We have 3 ideas to help you generate more revenue to make 2018 your club’s best year yet! Is your business model set up as pay-per-class or monthly recurring revenues? Businesses that incorporate a recurring revenue model (RRM) tend to make more money than pay-per-class-models. RRM allows you to forecast cash flows, ensures you are covering fixed expenses, contributes to client retention and strengthens your bottom line. 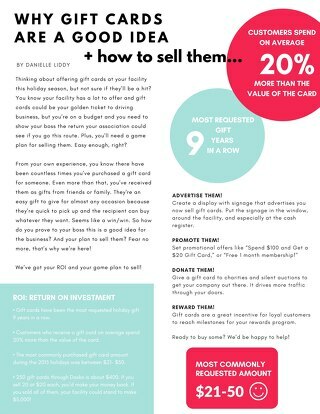 Don’t just think about your membership dues when evaluating your revenue model; you can also roll child care, locker dues, massage packages, private lessons, personal training and camp into monthly recurring billing. Do you have various items that you sell throughout your facility? Point of Sale transactions allow you to quickly recognize extra revenue such as gift cards, one-time child care fees, and more. From front desk to the pro shop, spa or café, allow your members and guests the freedom to make purchases and payments throughout your club. You want to ensure your software provider allows for easy end-of-day reconciliation, next day funding, and back-office integration. 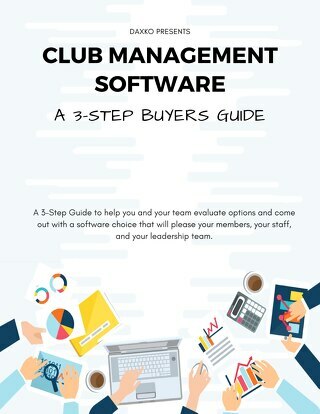 A quick way to capture more sales opportunities is having your club management software integrate with your website. This enables you to provide online joins, program registration and appointment booking. Boost your membership sales, manage club services and create a paperless environment–without adding new staff–by giving your members and potential members the power to self-service on their own time. Are you ready to have your biggest year yet? Does your club management software help you run your facility in a way that will maximize your revenues? Contact us at sales@daxko.com to learn how Daxko Spectrum can power your organization in 2018.